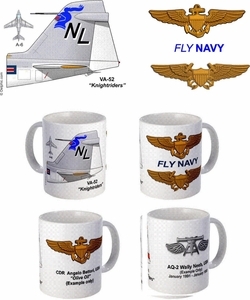 The VA-52 "Knightriders" A-6 Intruder mug has the squadron tail colors on one side with pilot and NFO wings displayed on the opposite side. 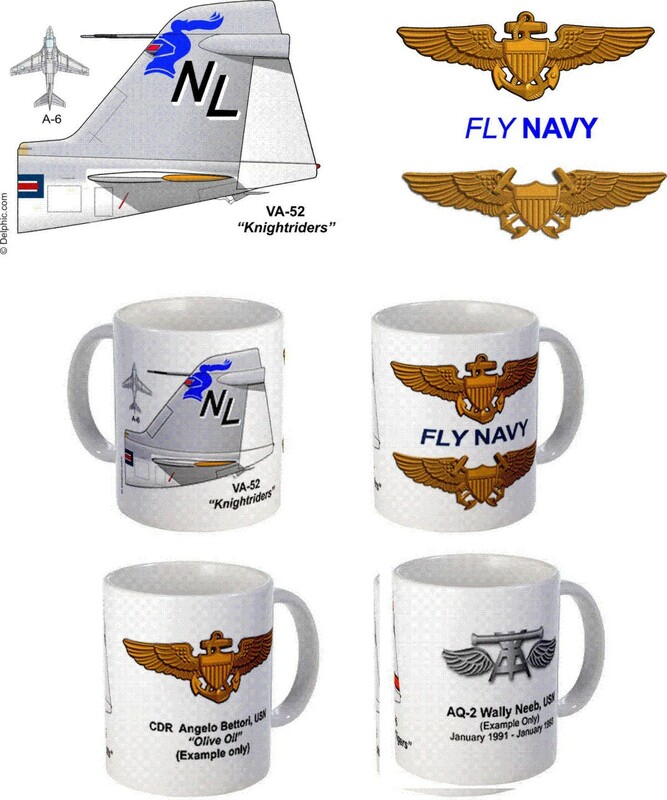 Each mug can be personalized with crew names, pilot or NFO wings, respective call signs,dates of service, and rank or rating for an additional $5 setup fee. Select the above customize option and type the exact name, wing type, and call sign in the comments section at the end of the order form. We will cut and paste what you type onto the art work, preserving all spelling errors! We will handle the formatting.